How do I choose search terms? Once you have narrowed down your topic and come up with the research question your paper will explore, identify the main concepts in your query. Use these concepts as your search terms (keywords). How else might you compose your search? Does providing employment opportunitites to ex-prisoners reduce the risk they will re-offend (recidivism)? What is a scholarly or peer-reviewed article? This 3 minute video from the Peabody Library at Vanderbilt University talks about the differences between popular and scholarly articles. It also mentions trade publications. When you are not physically at John Jay, access the databases by first going to the library homepage, then click on the database links. You will be prompted for your John Jay email user name and password. Your user name is the letters preceding the @ sign in your email address. For example the email address for John Smith is john.smith@jjay.cuny.edu. Enter john.smith in the user name box. Until you change your email password, the default one is the letters jj + the last 4 digits of your social security number i.e. jj1234. How do I find articles by citation? If you have the full citation, enter the full or partial citation or the DOI into our Citation Linker. If we have access to the article, you'll see a link to a database where you can find it. After following the link, you may need to navigate to the correct volume & issue. We may not have access to the article you're looking for. Alternatively, you can search for the journal title in either our online or print collections. There are many approaches to finding articles; OneSearch is just one of them. You could also choose a specific database. Keep reading below. On the Library's homepage, select the Databases tab in the main search box. Open the dropdown menu for Select from popular databases, which lists the most-used databases at John Jay. You can also find databases by subject or by title. 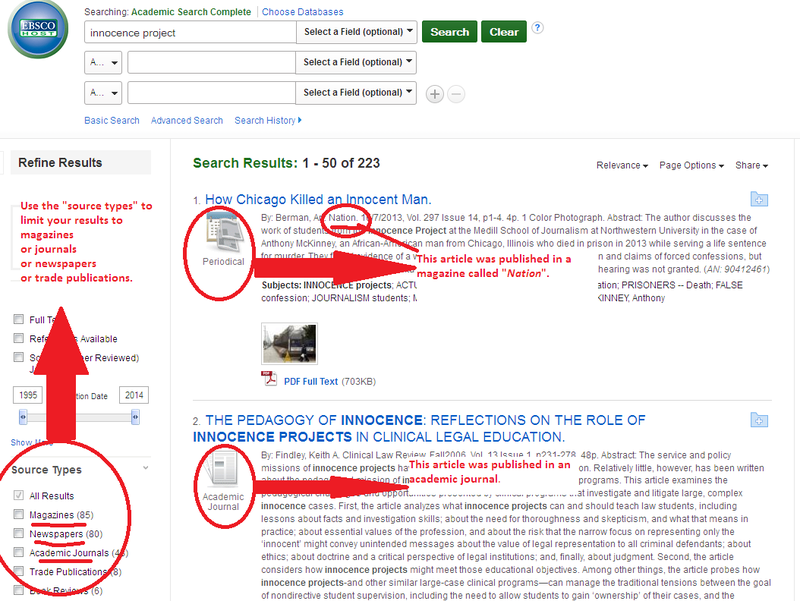 If you wish to find articles in a given academic discipline, view databases by subject. For example, under Criminal Justice, you will see a list of databases that specialize in the topic. If you want to go to a specific database whose name you already know, view databases by title. ENG 101 students' favorite, this large database allows you to search and access full text of magazine and scholarly journal articles from all academic disciplines. Searching for a specific TYPE of article? Some assignments will ask you to find specific types of articles, e.g. a scholarly article, or newspaper article, or magazine article. Looking for newspaper articles? Some databases that contain only newspaper articles.